This is a dimension entity which contains basic information about site profiles. 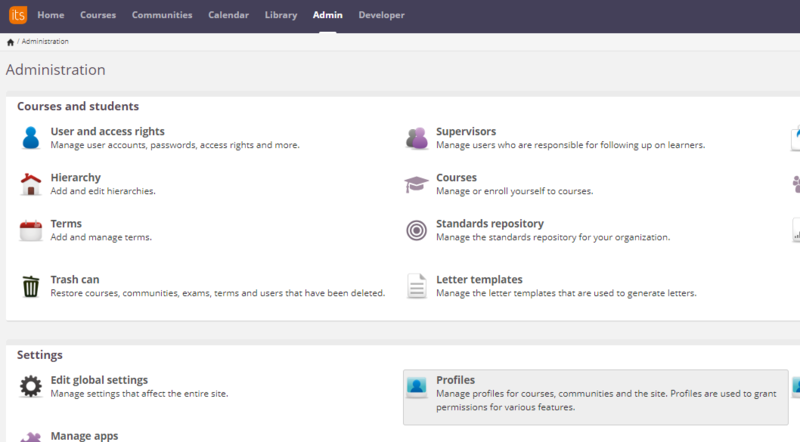 Which course profiles are included? In the entity only profiles that can be used in the platform are present. The entity shows the latest version of site profiles. <link rel="http://schemas.microsoft.com/ado/2007/08/dataservices/related/UserLogins" type="application/atom+xml;type=feed" title="UserLogins" href="https://reporting.itslearning.com/odata/engine7/SiteProfiles(7)/UserLogins"
<link rel="http://schemas.microsoft.com/ado/2007/08/dataservices/related/UserLogins" type="application/atom+xml;type=feed" title="UserLogins" href="https://reporting.itslearning.com/odata/engine7/SiteProfiles(8)/UserLogins"
<link rel="http://schemas.microsoft.com/ado/2007/08/dataservices/related/UserLogins" type="application/atom+xml;type=feed" title="UserLogins" href="https://reporting.itslearning.com/odata/engine7/SiteProfiles(9)/UserLogins"